A welcome return to form, this is at the very least Ronstadt’s best album since Simple Dreams and perhaps even Heart Like a Wheel. Steeped in all kinds of new-wave influences, Ronstadt delves even further here into the Elvis Costello songbook, covering a full three of his songs here, but they’re better chosen selections than the previous disc’s “Alison” was, with Ronstadt instead opting here to tackle less familiar items like the Armed Forces album cut “Party Girl” and the B-sides “Talking in the Dark” and “Girls Talk,” the latter two of which are both executed quite well by Linda and her cohorts, especially “Girls Talk,” which, truth be told, Costello himself didn’t sing nearly as well as either Ronstadt does here (or Dave Edmunds did on Repeat When Necessary, for that matter). Ronstadt fares even better on covers of “I Can’t Let Go” (first recorded by Evie Sands but popularized by the Hollies) and Little Anthony and the Imperials’ haunting “Hurt So Bad,” injected here with a subtle hint of new-wave that surprisingly works to the song’s advantage. But the best cut of all is the rollicking near-power-pop of “How Do I Make You,” penned by a young Billy Steinberg, who’d go on to co-write a long string of ‘80s smashes that includes Madonna’s “Like a Virgin,” Cyndi Lauper’s “True Colours,” and Heart’s “Alone.” It may not be her best album – that title belongs to Heart Like a Wheel – but you could make a strong case for this being her most fun record. Inexplicably, Ronstadt decided to follow up the well-received new-wave of Mad Love by stepping away from pop music entirely to star in the Broadway production of the musical The Pirates of Penzance. It was a strange career move and one she never quite fully recovered from commercially, at least on pop radio, where her long string of hit singles would come to a near-screeching halt, one broken up only by her hit duets with James Ingram (“Somewhere Out There” from the animated feature An American Tail) and Aaron Neville. So, in hindsight, it’s perhaps not that surprising that Ronstadt’s first post-Penzance pop album finds her seeming several years behind the times, interpreting songs from Kate McGarrigle and even Jimmy Webb and performing duets with James Taylor and J.D. Souther. Even her choice of covers here seems more backward than those on Mad Love, as she tackles the Knickerbockers’ “Lies,” the Exciters’ “Tell Him,” and Billy Joe Royal’s overly melodramatic “I Knew You When.” There are some scattered great moments – particularly the genuinely hip-sounding title cut (unusually employing a 7/4 time signature and also penned by the Starland Vocal Band’s Jon Carroll), Webb’s “Easy for You to Say,” and “Mr. Radio” – but compared to the heavily new-wave-fueled Mad Love, this album just sounds fairly tame and unexciting, although it practically sounds metallic compared to the traditional pop she’d peddle for most of the remainder of the decade. Its lack of pop hits aside, What’s New still managed to make such waves within the industry just on the basis of its album sales that it was perhaps inevitable that Ronstadt wouldn’t be able to resist making a follow-up in the exact same vein. Riddle is back as her arranger once more, and like What’s New, it’s all relatively tasteful (the songs are mostly well-selected, too, highlighted by “Skylark,” “Sophisticated Lady,” and the oft-covered, Billy Strayhorn-penned title cut, which is apparently indestructible), but it’s also both less vital and less interesting a disc than its predecessor and is really recommended only to diehard fans. The third and final installation in the Riddle trilogy, For Sentimental Reasons is also probably the least successful of the three, not merely because the formula had worn thin at this point but also because it’s more reliant than either of the previous two installations on more ubiquitous standards such as “My Funny Valentine,” “(I Love You) For Sentimental Reasons,” “Am I Blue?” and “Bewitched, Bewildered, and Bothered,” which makes the disc seem all the more clichéd and only slightly more passable than most of the standards discs in Rod Stewart’s oft-maligned Great American Songbook series. Thankfully, Ronstadt would abandon this career path shortly after, although it’d still be several more years before she returned to straightforward pop. 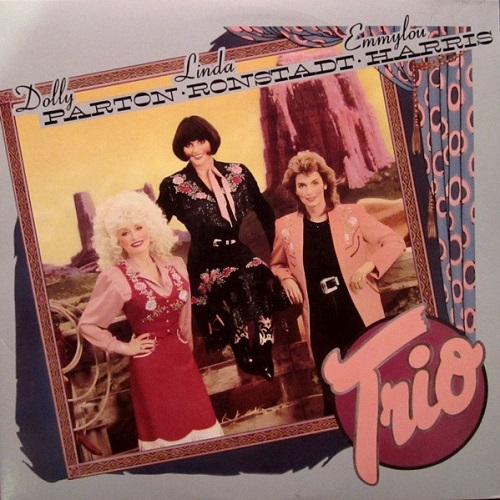 Technically, Trio isn’t really the first time that Ronstadt, Dolly Parton, and Emmylou Harris have sung together – to the contrary, Harris’ sole pop crossover hit, her 1981 cover of the Chordettes’ “Mister Sandman,” was one of the few cuts completed during a prior aborted attempt at making an album together, as was “My Blue Tears” (which ultimately appeared on Ronstadt’s Get Closer) – but it marks the first completed full-length collaboration between the three legendary ladies. It wasn’t a disc that was ever going to fly at pop radio – it was much too heavily country-influenced, and there hadn’t been a major country crossover hit since the days of Eddie Rabbitt’s commercial peak – but it did get major country airplay (particularly their covers of the Teddy Bears’ “To Know Him Is to Love Him,” Linda Thompson’s “Telling Me Lies,” and Bill & James Monroe’s “Those Memories of You”) and even picked up a Grammy nomination for Album of the Year. 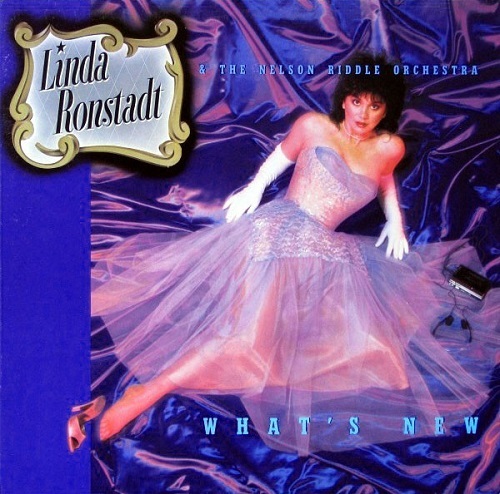 If the album doesn’t quite fully live up to the hype, it’s only because the material isn’t as fabulous as it perhaps ought to be for such an all-star teaming – nothing here is bad, mind you, but not much here is all that terribly catchy, either, particularly when placed alongside Ronstadt’s long run of pop hits from the ‘70s; still, even in the album’s least engaging moments, the harmonizing between the three ladies never ceases to be magical, and you can tell from the spirited performances just how much fun was had crafting the record. You’ve got to hand it to Asylum Records – they must have the patience of saints to have endured Ronstadt’s unwillingness during much of the ‘80s to placate her pop fans, particularly when Geffen was taking Neil Young to court for making “unrepresentative” records that were still more commercial than nearly anything Ronstadt was recording at the time. 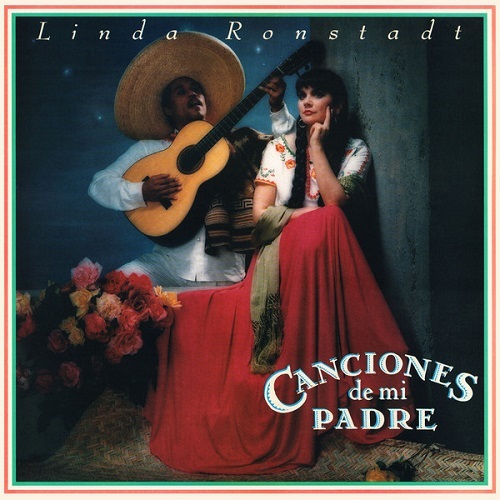 This time out, Ronstadt’s ditched the pop standards of her albums with Nelson Riddle, but Canciones de Mi Padre (Spanish for “songs of my father”) isn’t exactly a contemporary pop album, either, instead being devoted entirely to Spanish-language mariachi songs from Ronstadt’s childhood. To her credit, she actually sings these songs surprisingly well, and the album is arguably much more interesting than of the three discs with Riddle – it’s certainly more left-field, anyway. Still, this is awfully self-indulgent stuff, and unless you either speak Spanish or consider yourself to be a diehard Ronstadt fan, it’s not terribly likely that you’ll listen to this one more than once or twice. Seven excruciatingly long and overly eclectic years since the release of Get Closer, Ronstadt finally and thankfully turns her attention back to contemporary pop music with this disc, co-credited to Aaron Neville (who technically only appears on four cuts here). Asher’s still in the producer’s chair, luckily, and many of Ronstadt’s old bandmates – from Andrew Gold, Kenny Edwards, and Karla Bonoff to pianist Don Grolnick and bassist Lee Sklar – take part in the proceedings as well, helping this release to feel like more of a throwback to that golden run of albums from 1974 through 1980, even if it’s just a tad too modern to have the same amount of sonic warmth to it. 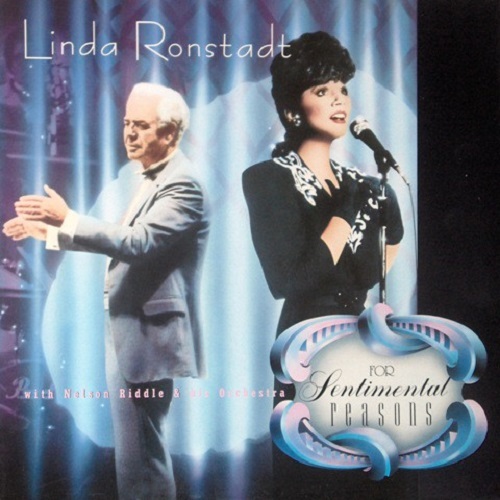 The songs are also Ronstadt’s best-chosen batch of pop songs since Mad Love, including the adult-contemporary-radio classic “Don’t Know Much” (actually a cover of a song previously recorded by Barry Mann, Bill Medley, and Bette Midler and performed here as a duet with Neville), a pair of Paul Carrack covers (“I Need You,” “So Right, So Wrong”), four Jimmy Webb tunes (highlighted by the great “Adios” and “Still Within the Sound of My Voice”), Eric Kaz’s “Cry Like a Rainstorm” and, best of all, three more beautiful Karla Bonoff tunes, highlighted by “Trouble Again” and the Neville duet “All My Life,” the second of two Top Twenty hits from the record and Ronstadt’s final Top 40 single to date. If you only pick up one of Ronstadt’s post-Mad Love records, this is likely the one you’ll come back and listen to the most often.